Staffing to Meet Demand: Is It Possible for Your Practice? As technology delves deeper into every area of your practice operations, you may find yourself with extra resources on your hands. Check-in kiosks in the waiting room might be freeing up staff time at the front desk, for example. Automated eligibility checks or claim-scrubbing software might be doing the same in billing. And if yours is one of the many practices embracing telemedicine (or having nurses and PAs handle check-ups and other routine visits), even your doctors might be enjoying more downtime than they used to. It’s a welcome shift to see medical professionals get some breathing room in their schedules. For decades, healthcare’s high-touch nature has demanded ever more staff in the office setting – or worse, expensive overtime pay. But now, the tide is turning to allow automation (and better care coordination) to lessen the administrative and clinical burdens on practice personnel. That’s leading some office managers to wonder: Do we really need so much full-time help? It’s a reasonable question. For most practices, wages and benefits are the largest line items on the books. So if you consistently notice staff members struggling to make productive use of their time, there’s an obvious mismatch between your supply of human resourcing and your demand from patients and administrative responsibilities. In this environment, some practices are exploring ways to staff up “on demand.” And the approach looks different for every practice. Some are opting to staff administrative help only on certain days of the week, or place certain employees “on call” for a set number of hours per week. 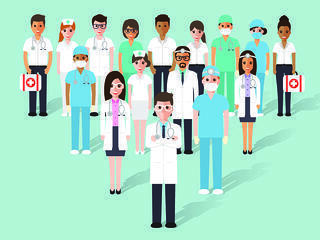 Others are outsourcing as many back-office functions as possible, and hiring “hybrid” admin-clinical staff to do double duty on clerical needs and patient care day-to-day. Of course, the challenges are many. It takes a highly organized practice to pull off an “on call” approach (since an unexpected accident or illness can send that strategy careening off the road at any time). And few are sold on “hybridizing” clinical staffers to do administrative work; that model can lead to undue distractions that may negatively impact patient outcomes. So while staffing on demand may seem feasible, it’s not right for most practices… at least, not until tech goes a lot further to predicting patient demand and recommending appropriate staffing loads. In the meantime, it’s smart for practices to realign resources where needed when it comes to patient care, and to pay attention to how well their administrative team’s time is spent. Working with a trusted medical billing firm may be the “on demand” solution for making ensuring your practice resources earn the right level of ROI.